Upon arrival at JFK, Newark or La Guardia airport, simply proceed to the Ground Transportation Desk in your arriving terminal and present your voucher. No prior reconfirmation is required and free courtesy phones are available in every terminal at the baggage claim area. Enjoy Skip-the-Line service at JFK Terminal 7. Bypass the Welcome Center/Ground Transportation desk and look for a Go representative. 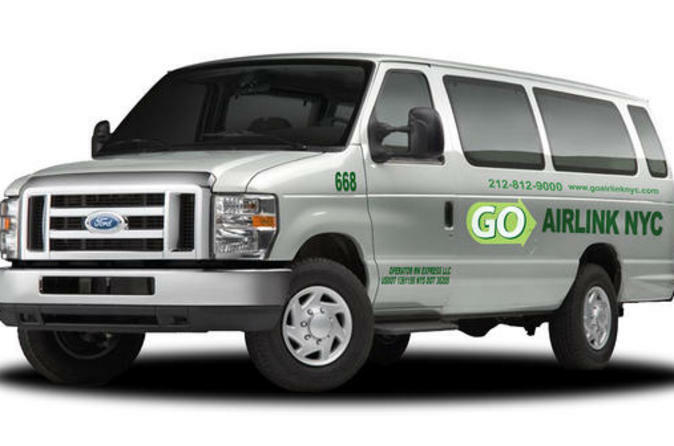 Offering door-to-door service, this New York arrival shuttle transfer is an easy start to your Big Apple vacation! This transfer is to MANHATTAN HOTELS only. Special Offer - Book by September 30 to save 21% off our previously offered price for arrivals to LGA! - Book Now!